Take 10% on us this December by using coupon code “Take10” anytime through December 31st. The Life Naturally Shop sells the leading high-quality supplements including One World Whey and Beyond Tangy Tangerine. 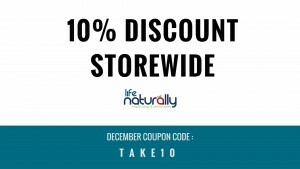 Use the December coupon code “Take10” for any of the products in the Life Naturally Shop. CSA boxes, which stands for community supported agriculture, have been exploding in popularity in recent years. Essentially, by purchasing a CSA you are investing in a farm by buying one of their “shares” offered for that season, in return you receive a box of veggies during that growing season. A CSA is a win win for consumer and farmer. The farmer is receiving payment early in the season which helps with cash flow. The consumer receives ultra fresh produce and is often exposed to vegetables you would not normally use or buy yourself. Last year I bought a CSA share from a local organic farm and it was my favorite part of the summer. I went in again this year and I always look forward to pick up day. It can be tricky to use all the vegetables and you are not able to plan meals prior to pick up because every week the box is a little different. This challenges me but its also fun I don’t usually buy swiss chard but its in my box most weeks throughout the summer. I get creative with lettuce because I could not make enough salads to use it all before it goes bad. The basil is going to be pesto. I am going to stuff the patty pans with some quinoa and some veggies. The swiss chard is going to be enchiladas. I am going to roast the beets and make a salad with goat cheese. Cucumbers will be made into quick pickles. The tomatoes are going to be sauce or roasted tomato soup. A breakfast for dinner of kale and sweet potatoes or something and topped with a crispy egg. A quick foil dinner with beans and potatoes and a protein of some kind. Some of these may or may not be exactly what I make but I like having a plan with my CSA veggies so they don’t go to waste! Follow us on Instagram to see what we’re cooking up with our CSA box each week! Follow our Pinterest boards for ideas and recipes for your CSA box or garden bounty! Cupping is a Chinese medicine therapy in which cups are applied to the skin along the channels (meridians) of the body creating suction as a way of promoting “Qi” or life force by drawing energy and blood flow to areas of the body that are experiencing inflammation. The cups are made of a variety of materials glass, bamboo, or earthenware. The suction of the cups activates blood flow to promote healing of a broad range of ailments. 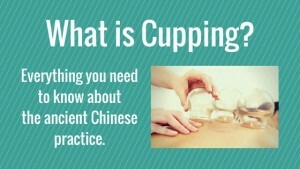 Cupping helps reduce pain naturally. Releases tissues deep inside the body by relaxing muscles easing stiffness. Cupping targets soft tissue by applying localized pressure to pain points and areas of swelling by increasing blood flow. Athletes have been known to use cupping to naturally improve performance and reduce stiffness, joint pains, and scar tissue cause by injuries. You may have seen circular bruises on many Olympic athletes this year. The mens gymnastic team and many swimmers have began using this therapy to prevent injuries and speed recovery during competition. 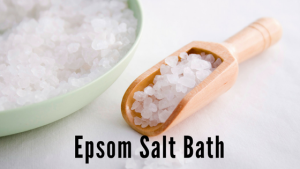 Many athletes prefer this over massage because it pulls muscles and tendons up instead of pressing them down. Cupping promotes relaxation and often helps alleviate physical complaints and allows people to relax by sedating the central nervous system. Once the cups are placed and suctioned you need to remain still and forces you to be silent when you might otherwise not be. It is soothing because the cups help lift pressure in tense muscles much like a receiving a deep tissue massage. It is believed that cupping therapy helps remove toxins from the body and improves immunity. In a 2012 report researchers concluded that cupping is more than a placebo effect stating that it has benefits similar to acupuncture. Cupping isn’t usually painful. You might feel some heat and tightness around the cup but will find it relaxing and soothing. Some skin discoloration may develop after the therapy which can last anywhere from a few days to a few weeks. 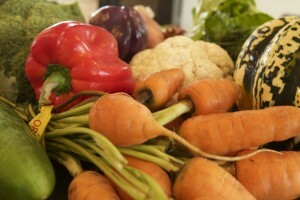 There is a common misconception among many that eating organic has no benefit. The mainstream media is the primary culprit pushing this narrative and falsely claiming organic foods are no different then their genetically modified (GMO) counterparts. The truth is, there is a big difference between eating organic or eating (GMO), and here are the Top 5 Reasons You Should Eat Organic. Eating organic food as opposed to genetically modified (GMO) food has many benefits for both you and the environment. After drinking clean water, switching to an organic food diet is the best way to begin improving your health. Traditionally, our ancestors have always eaten a 100% organic diet, and only recently has the food system become adulterated with synthetic fertilizers, pesticides, and genetically modified ingredients. The mainstream media compounds the confusion by claiming traditional seed hybridization/cross-breeding practices are the same techniques used by modern agriculture companies. This of course is not true, and companies are no longer just blending related seed varieties together, but instead genetic engineering is breaking natural law and forcibly combining unrelated species. Scientists are currently adding spider genes to goats, fish genes to strawberries, and scorpion venom to cabbage to name a few of the bizarre food experiments going on. Scientists are quick to give many reasonable sounding excuses for doing this including preventing strawberries from freezing, keeping insects from eating the cabbage, and to produce goats milk that has stronger proteins that can be used for Kevlar. The truth is, recent studies have shown genetically modified foods (GMO) is not only destroying the environment but also our health. The primary reason scientists say they are combining animal traits with plants is because it helps prevent insects from eating farmers crops, therefore we can use less pesticides. The problem with this theory is if insects won’t eat genetically modified (GMO) crops, then it probably isn’t healthy for humans. Here’s just a few examples of the crazy experiments big food producers like Monsanto are doing with our food supply. Green Med Info is reporting on genetically modified cabbage with scorpion poison could be coming to a store near you soon. Get ready for genetically engineered cabbages that come complete with their own scorpion poison, just for you to eat. It’s touted as requiring less pesticide use and being, of course, completely safe. Close investigation, though, indicates that neither claim is likely true. If that wasn’t enough, scientists are working hard to create genetically modified Salmon that could grow twice as fast. The biotechnology industry says it has genetically modified a fish that grows at twice the normal rate, so it can get to market sooner and make more money, faster. But this dangerous lab experiment is all hype and full of downsides to consumers, salmon growers and the environment. If approved, GM salmon would be the first “transgenic” animal allowed into our food supply. It’s also unlikely that it would have to be labeled, so you might not even know you’re eating it. At first when you switch back to eating an organic diet, the food might taste bland. This is because eating chemicals like msg and aspartame can actually “burn out” your taste buds. After a few months of eating organic you will get your taste buds back and organic food will actually taste better then genetically modified (GMO) food.I hope you enjoyed my Top 5 Reasons to Eat Organic. 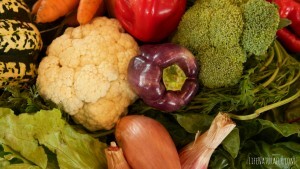 The downside of eating organic food is it can be more expensive. The best way to save money and still eat organic is to buy in bulk and cook your own food. Pre-packaged organic food is usually more expensive then it’s GMO counterpart, but if you buy organics in bulk, you can save money on your grocery bill. Drinking lemon water daily, especially first thing in the morning, is a simple way to improve your health. Lemons are packed with nutrients like vitamin B, vitamin C, potassium, fiber, iron, calcium, and magnesium. Adding 1/2 lemon to warm or cold water is a great way to feed your body nutrients, improve the taste of water, and raise your body’s alkaline levels. As a lifelong coffee drinker I have always craved something warm in the morning. After much health research, and listening to my body, I began to realize drinking 2-3 cups of coffee daily was dehydrating my body. I have replaced my coffee habit with warm lemon water in the morning, and my body feels more hydrated and my cravings for coffee has slowly diminished. Check out this great list of the 10 Health Benefits of lemon water from Life Hacker. 1. Gives your immune system a boost.Vitamin C is like our immune system’s jumper cables, and lemon juice is full of it. The level of vitamin C in your system is one of the first things to plummet when you’re stressed, which is why experts recommended popping extra vitamin C during especially stressful days. 2. Excellent source of potassium.As already mentioned, lemons are high in potassium, which is good for heart health, as well as brain and nerve function. 3. Aids digestion.Lemon juice not only encourages healthy digestion by loosening toxins in your digestive tract, it helps to relieve symptoms of indigestion such as heartburn, burping, and bloating. 4. Cleanses your system.It helps flush out the toxins in your body by enhancing enzyme function, stimulating your liver. 5. Freshens your breath.It also helps relieve toothaches and gingivitis (say wha?). Because the citric acid can erode tooth enamel, either hold off on brushing your teeth after drinking lemon water or brush your teeth before drinking it. 6. Keeps your skin blemish-free.The antioxidants in lemon juice help to not only decrease blemishes, but wrinkles too! It can also be applied to scars and age spots to reduce their appearance, and because it’s detoxifying your blood, it will maintain your skin’s radiance. 7. Helps you lose weight.Lemons contain pectin fiber, which assists in fighting hunger cravings. 8. Reduces inflammation.If you drink lemon water on a regular basis, it will decrease the acidity in your body, which is where disease states occur. It removes uric acid in your joints, which is one of the main causes of inflammation. 10. 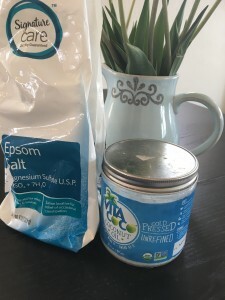 Helps to cut out caffeine.I didn’t believe this until I tried it, but replacing my morning coffee with a cup of hot lemon water has really done wonders! I feel refreshed, and no longer have to deal with that pesky afternoon crash. Plus, my nerves are thankful. Warm lemon water also provides a great substitute for that evening cup of coffee or tea. Drinking coffee or tea after dinner may be doing harm to your sleeping cycles. Studies have shown that drinking even small amounts of caffeine 8 hours before bedtime can effect your sleep in a negative way. Afternoon caffeine can interrupt your REM sleep cycle or prevent you from falling asleep. What benefits have you seen from lemon water? Let us know.